Squishy lovers! Meet our rainbow slow rise pillow. 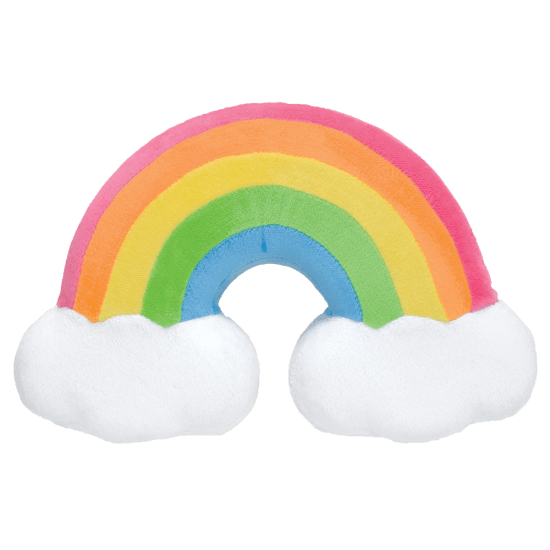 This soft, cheerful, cozy fleece rainbow pillow slowly returns to its original shape after you squeeze it. It's like a giant squishy that doubles as a pillow. 10 1/2" x 7" x 1 1/2"